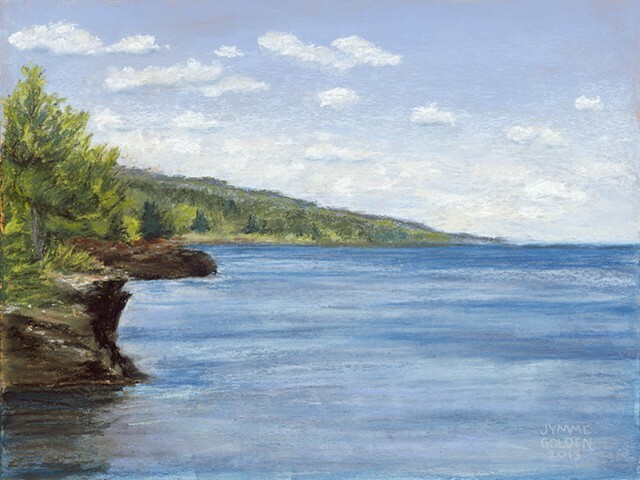 A plein air painting done on an unusually quiet, tranquil day on Lake Superior while on an art retreat with artist friends. This quiet sunny day came after 2 days of heavy fog and rain. It was very welcome and peaceful.